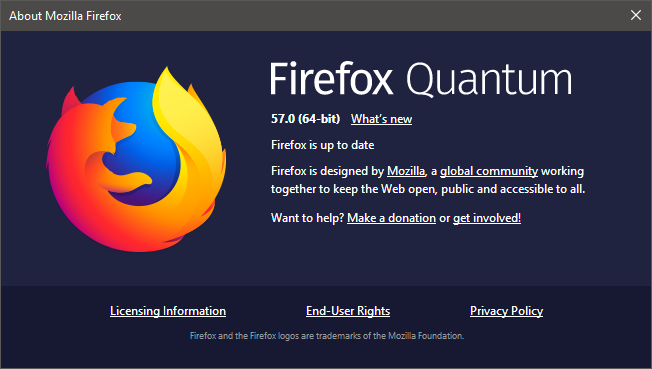 Firefox released its ultra-fast Quantum browser a few weeks ago, with version 57. The next stable version, 58, will include strong security measures, rendering domain spoofing and phishing attempts much harder to implement. Firefox 58 will block web pages from navigating the top-level window to data URLs, protecting users from phishing attacks that abuse data URLs. Navigation to a top-level data URL using: window.open, window.location or links. Redirection to a new top-level data URL using 302 redirects, meta refresh redirects. External programs that try to open data URLs in the web browser. Links set up by scammers can mask the domain, displaying a legitimate address; the browser is manipulated into changing its destination URL without altering what is displayed in the browser.